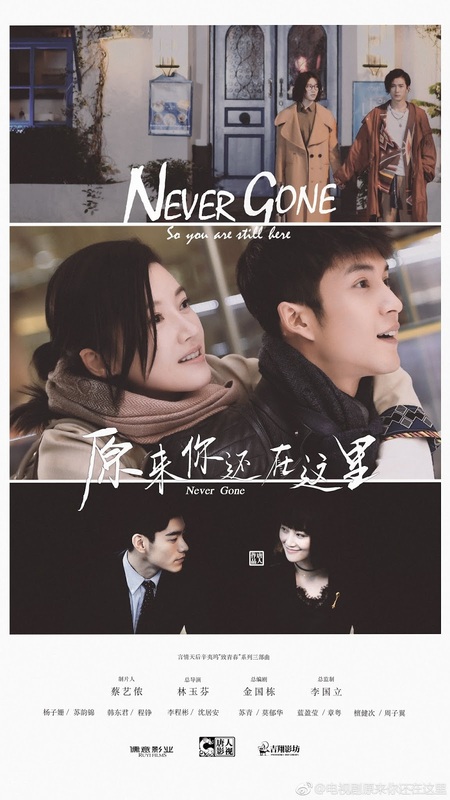 Never Gone: So You Are Still Here 原来你还在这里 is a 36-episode Chinese drama adapted from a popular novel by Xin Yiwu 辛夷坞. The movie adaptation starred visual couple Crystal Liu and Kris Wu while the drama stars Yang ZiShan and Elvis Han. 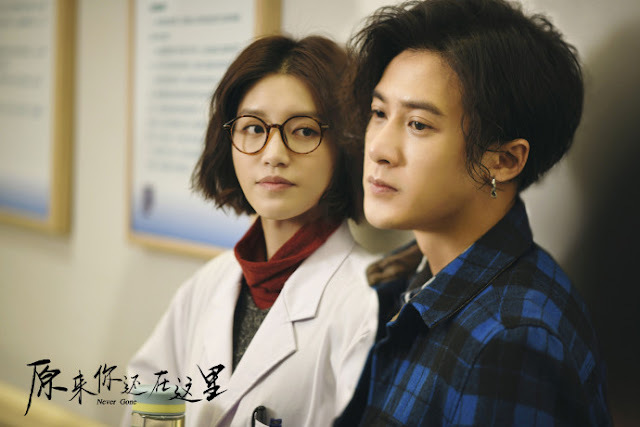 The story follows the leads from their schooldays until adulthood, and I'm glad they got Li Lan Di and Hu XianXu to play the younger counterparts because as much as I find Yang ZiShan beautiful, it may be overkill for her to play a student whens she's in her thirties. The theme seems to revolve around second chances, which I'm seeing more and more of in dramas. Oof, Elvis Han seems to be playing the lovestruck puppy again, that is until he breaks the walls put up by the heroine. I sense an angsty road ahead. I'm not quite ready for another Siege in Fog though I'm comforted by the thought that this author doesn't seem to revel in tragedy as much as Fei Wo Si Cun. 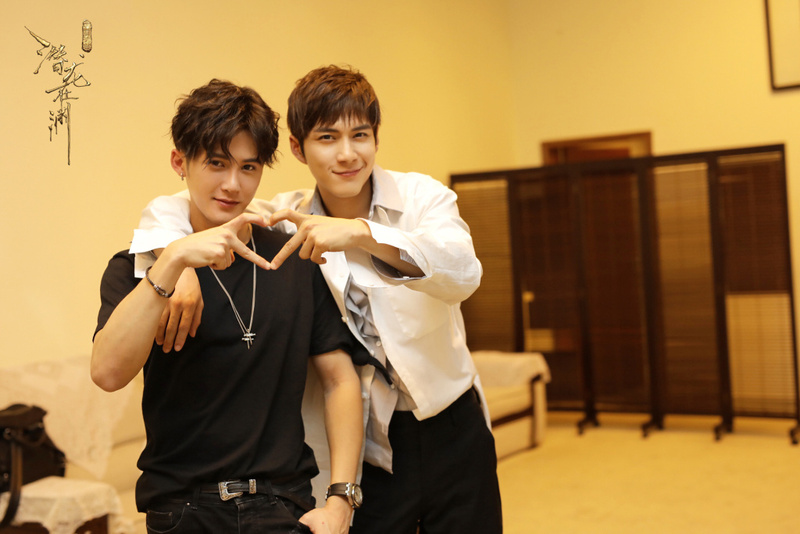 Meanwhile, Elvis Han adorably reunites with Tan Jianci in this. They played Sima Yi and Cao Pi in Secret of the Three Kingdoms. The three couple pairings include Yang ZiShan and Elvis Han, Li ChengBin and Su Qing, Lyric Lan YingYing and Tan JianCi. Was not expecting this to be a drama. I enjoyed watching the movie although I had mixed thoughts / feelings about it. IDK if I should watch this or not. I saw Elvis Han in Siege in Fog. I quit watching Siege in Fog with Elvis Han.I was quite far into the drama and found out they were going to kill off Elvis Han's character and I thought how stupid. After all they had already been through and to do that to him I lost all interest and just stopped watching.. I hope this one fares much better.